What is a crisis?Why is it important for a nonprofit to have a crisis communications plan?What should a crisis communications plan include?How should the board of directors be involved in the plan?How should a nonprofit leader communicate in a crisis? “The most dangerous crisis is the crisis that is ignored,” Philip says. This podcast offers many insights that can help nonprofits get on the right track when it comes to handling crises. Philip leads the Atlanta office of The Castle Group, a Boston-based communications consultancy that offers public relations, digital social media and events management services, as well as specialty services in communications strategy and crisis management. Philip routinely works with education institutions, nonprofits, major corporations, and professional service firms to deliver timely, consistent, and concise messages to the audience that matters most, either in preparation for or in reaction to high visibility issues. Examples of sensitive and highly-charged situations he has helped clients manage include discrimination, litigation, wrongful termination, workplace violence, sexual assault, data breeches, and executive misconduct among others. A member of the Brookhaven Rotary Club and Buckhead Professional Group, he enjoys connecting people and creating opportunities that bring value to all. Philip graduated from Presbyterian College in Clinton, South Carolina, with a bachelor’s degree in English and a minor in Business Administration. 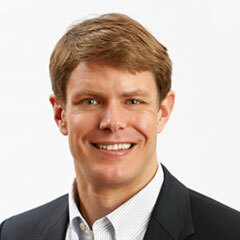 Philip lives in Decatur, Georgia with his wife Ashley, a nurse practitioner at Children’s Healthcare of Atlanta, and their two children. When not working or spending time with family, you’ll find him outdoors usually swimming, biking or running.